Schindler Holding group is a manufacturing industry specializing in elevators, escalators and moving walks with a varied range of maintenance services. It provides its services and products to a wide range of infrastructure including residential and commercial flats, hotels, corporate buildings, shopping complexes and many more. It has a very specialized system of installation which ensures health and safety at priority. It was founded in 1874 in Lucerne, Switzerland and is presently headquartered in Ebikon, Switzerland. It has a global presence and has over 1000 branch offices spread over in more than 100 countries. The research and development facilities are present in Brazil, India, China, US and Europe. The values include safety, customer value, quality, commitment to people development, integrity and trust which addresses the core people values and the mutual trust Schindler want to create among its customers. 1. Strong Global presence and brand position. 2. ThyssenKrupp – a competitor with broad product portfolio. 1. Change in demographics such as adding to market potential in mobility solutions: Change in demographics is a major driver of demand in every manufacturing sector, especially for companies like the Schindler Group which produce modern equipment like elevator, escalators and moving walks. Urbanization is one of the major forces for the increase in demand and simultaneously the profits. 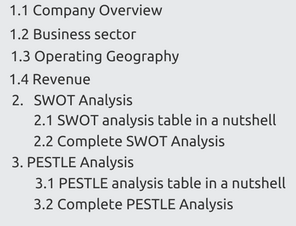 Increase in revenue can be easily observed from 2017 to 2018. There is a change in demographics too. Population is increasing day by day which calls for more real estate developments. It is also estimated that by 2030 the cities will have more than 5.1 billion population. The aging population is increasing that is the average age is increasing. To be more precise it will touch 1.4 billion. Older people mean more requirement of these safe and reliable mobility products. Profits are for sure going to increase. Middle class people are also expected to grow at a rate of 60%. Living space will be on demand and hence the need for more of these products. 2. Smart elevator installations – a growing market: There is increasing trend of elevators in smart buildings that are installed with advanced connected technologies which facilitate improved efficiency, security and access management. These smart elevators make use of automation and minimize waiting time by efficient traffic management. Smart elevators also enable data collection which is sent to the Cloud and analyzed and helps in predictive maintenance. What bodes well for the industry is that these new technologies have been well accepted not only by influencers such as architects and designers but also by the growing digital savvy customers. Schindler with its advanced technological competence can leverage on the new technology implementation growth potential in elevators. 3. Growing maintenance market in China: There has been a huge growth of elevators in china. There has been an increase in ownership of elevators there which has led to the demand for highly efficient, strong and effective maintenance systems. To speak in detail, there has been around 4.8 billion elevators in china at the end of 2017. If we calculate more precisely, say RMB 8000 per year for a single elevator. Then for a year in total for all the 4.8 billion elevators the total cost stands at 38.4 billion approximately. Maintenance system is at a huge demand in China and is facing a stiff competition. Though the development is not in an ordered way now as Chinese government gives due importance to the maintenance markets, but this is the apt opportunity for Schindler to enter in an already existing market and take the privilege of the growing market when after sometime it will start growing in a more orderly fashion. 4. Growth potential in India: India is a country which is in a highly developing and growing stage and is a major opportunity for Schindler. With the new concept of smart cities in India, the need for more sophisticated and modern buildings with well-equipped facilities have increased. The creation of 100 smart cities will lead to a dire need for such modernized equipment. High rise buildings, hotels with stylish and ultra-modern facilities and the shopping malls with multiplex facilities would need safe and reliable elevators, escalators and moving walks. Schindler is already widely spread over in India with specialized centers in more than 50 cities. In India, the average age of the population is increasing leading to an increase in the aged group people. Also India is a country with more middle class people who are now a daily customer of various shopping malls. They all require better equipped buildings and safer mobility devices. Schindler has a lot of growth opportunity in India. 1. Change in inflation rates. 1. Implementation of IOT in logistics. 1. Stringent health and safety laws. 2. Change in taxation policy. 1. Climatic condition in India. 2. Sustainability – six focus areas and ambitious targets. 1. Rising safety issues in elevators in high rise buildings: As urbanization is growing day by day, the need for modern infrastructure like escalators, elevators, moving walks are also increasing day by day. The level of safety also needs to be assured, as a lot of accidents occur due to the usage of such modern equipment. The reason may be anything like hectic life, carelessness or unawareness about the use of the equipment. But the issue is of safety. Safety issues are rising day by day. Schindler has to be extra careful while devising and launching its products. One accident issue and the product faced a downfall in the market. Schindler is known to have extensive safety measure plans which are actually an edge over the competitors for it. But safety issues always come along with the luxury of modern equipment. No doubt, however safety measures are taken, at the end of the day they are machines and always have a probability to fail. This is a permanent social issue for Schindler. 2. High immigration rates in markets such as Brazil: As already mentioned immigration brings out a positive factor for expanding business and making profits. Immigration policies in Brazil bring out the same. The immigration rates in Brazil have been increasing since the implementation of new immigration policies by Brazilian Government in 2017. Brazilian Government has started taking in more refugees and have tried to give them the same place as Brazilians have in their country. The facilities like permanent visas and admissions in college for graduation have become easier. Even the labour partiality is not done and skilled labour irrespective of the person is a Brazilian or not is given due respect and consideration. This is a very good and beneficiary point for Schindler Group. These immigration policies and high immigration rates will lead to an increase in the demand for modernized infrastructure which obviously includes elevators, escalators and moving walks. Schindler Group has one of the biggest opportunities to expand in Brazil. 3. Growing focus on customer experience: Customer experience and delight is a necessity for organizations in the wake of growing competition. It gives an edge over the competitor and the market competition. If an organization fails to provide a proper customer feedback service to its customers, irrespective of the quality products they sell and endorse, they would never be able to overcome the few small mistakes they are doing. Schindler Group continues to leverage technology to boost its customer experience and enhance brand value through multiple initiatives. Schindler’s multi-function FieldLink digital solution provides real-time data to its technicians so that they can diagnose, repair and restore the equipment as required. The company also provides its personnel with real-time route optimization so that they can reach the customer sites quickly and spend less time on roads. Further, Schindler Transit Management Group has come out with a smartphone-based application known as myPORT which is a visitor control system which enhances the security of buildings and residential societies. FB group Elevator 2016 Acquisition The acquisition will Schindler Germany’s business particularly relating to the high-end lift segment of custom-made solutions, as well as in the retrofit of elevators. 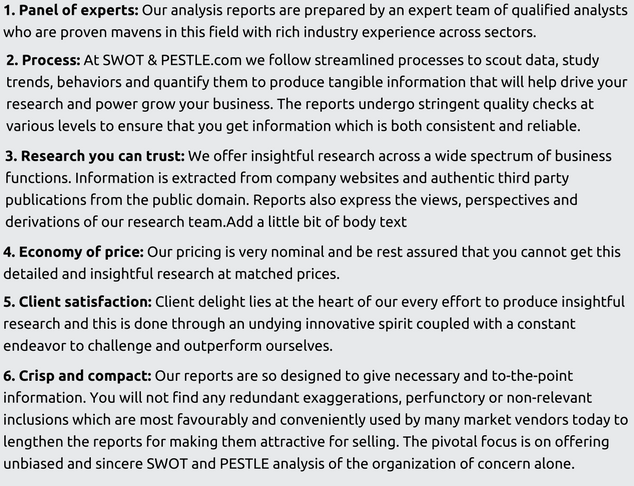 Schindler Group SWOT and PESTLE analysis has been conducted by Adyasha Panigrahi and reviewed by senior analysts from Barakaat Consulting. 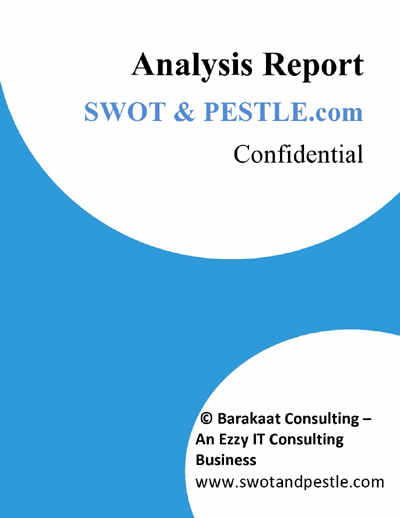 Copyright of Schindler Group SWOT and PESTLE Analysis is the property of Barakaat Consulting. Please refer to the Terms and Conditions and Disclaimer for usage guidelines.